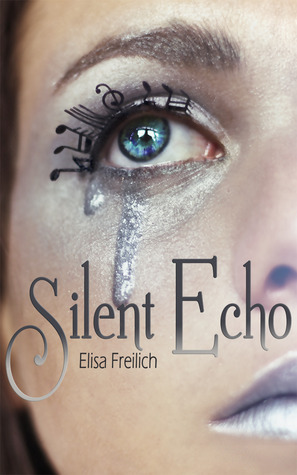 Haunted by silence, a mute teenage girl is mysteriously given back her voice ... and it is divine. Rendered mute at birth, Portia Griffin has been silent for 16 years. Music is her constant companion, along with Felix, her deaf best friend who couldn't care less whether or not she can speak. If only he were as nonchalant about her newfound interest in the musically gifted Max Hunter. But Portia's silence is about to be broken with the abrupt discovery of her voice, unparalleled in its purity and the power it affords to control those around her. Able to persuade, seduce and destroy using only her voice, Portia embarks on a search for answers about who she really is, and what she is destined to do. 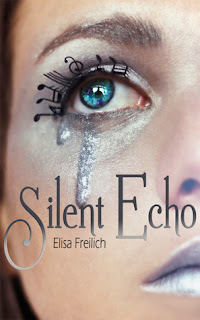 Inspired by Homer's Odyssey, Silent Echo: A Siren's Tale is an epic story filled with fantasy, romance and original music. This was one of those books where I loved the summary and really wanted to also love the book. Don't get me wrong, I didn't dislike the book. It just wasn't quite what I was expecting, and there were a few things that bothered me about it. I love the whole Greek god thing, as I love Greek mythology in any book. However, it does need to meet a certain standard, and at times, I just didn't feel like these gods were believable, only because they didn't seem to have changed with the times at all. I don't care how old you are, your manner and your speech are bound to change, at least a little bit, over the course of centuries. But I found that the gods here came across very much as they always would have been at the beginning of time. So it just didn't ring true for me. Additionally, I just had a really difficult time liking Portia. This was a very complex character, so I do admire the author's writing chops to create such a character, but at the same time, through most of the book, I just didn't like who she was at all. The two love interests were interesting, and I definitely liked one more than the other, but time will tell just which one Portia will end up with, as this appears to be a series in the making. All in all, I liked the author's writing style and storytelling, but when it was all said and done, this just wasn't the book for me.